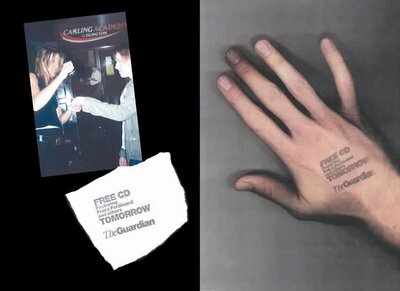 Nightclubs across the UK are getting creative and using specially designed stamps as proof of entry for patrons. The person would then wake up on Saturday morning and be reminded of the free CD offer in Saturday morning's Guardian newspaper. For a marketing professional, you should know all about credibility and stuff like that. "Intereactive" - This is the kicker. Interactive. "The person would then wake up on Saturday morning and be reminded of the free CD offer in Saturday morning's Guardian newspaper." Saturday - using the same word twice in a sentence. Big no-no. Loved the site. I created this site subliminal messages in the hope that it would be useful and informative. I hope you get a chance to take a look.